With over 500 latest online mobile casino games to offer, Vegas Crest Mobile Casino surely has something in store for its every player. And this online casino's Winter Mobile Bonus gives an additional reason to join the Vegas action on the mobile device. All the players who join Vegas Crest Mobile Casino are rewarded with an incredible 20 Free Spins to spin the reels of the exciting 4 Seasons Video Slot. 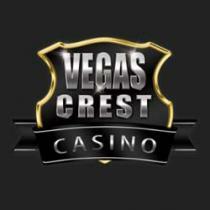 Only the mobile casino players of Vegas Crest Casino are eligible for this promotional offer. The offer can be redeemed only once by a player. A minimum deposit of $50 has to be made in order to be eligible for the promotional offer. Offer is only valid for the players who have made at least 2 previous deposits in their Vegas Crest casino account. The Free Spins will only be valid on 4 Seasons Video Slot. Log in to your Vegas Crest account from your mobile device. Select 'with bonus' option while making a minimum deposit of $50. Go to 'My Account' and click on 'Bonus Code' button. 20 Free Spins are instantly credited to your account. These Free Spins can be redeemed on 4 Seasons Video Slot. The bonus funds from this promotional offer are subject to certain wagering/rollover requirements which need to be fulfilled in order to qualify for withdrawals. Free Spins are subject to a 40 times playthrough requirement. Different online casino games contribute differently towards fulfilling the wagering requirements. Before signing up & claiming the No Deposit and Welcome Bonus of the following popular online casinos, take a look at their reviews! Apart from Vegas Crest Casino bonuses & promotions, find other latest casino promotions ranging between No Deposit & Deposit Bonuses along with their bonus/promo codes here!